The Datsun 240Z wiring design is notorious for it’s less than stellar design (like running the headlight circuit through the switch on the steering column). Not to mention creative wiring by Previous Owners! After 40+ years, some repair and updating is needed. 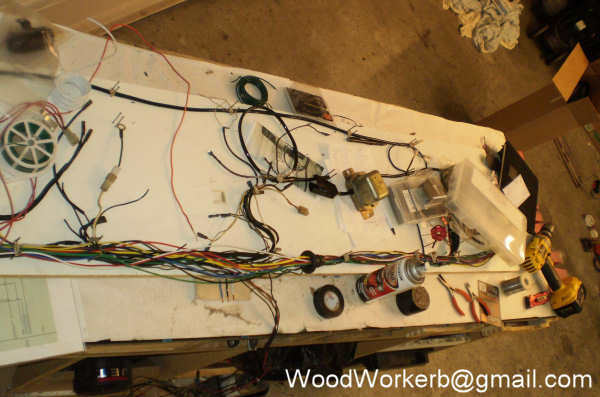 I did tear-out and completely re-build all three wiring harnesses (the engine, dash and rear harnesses). 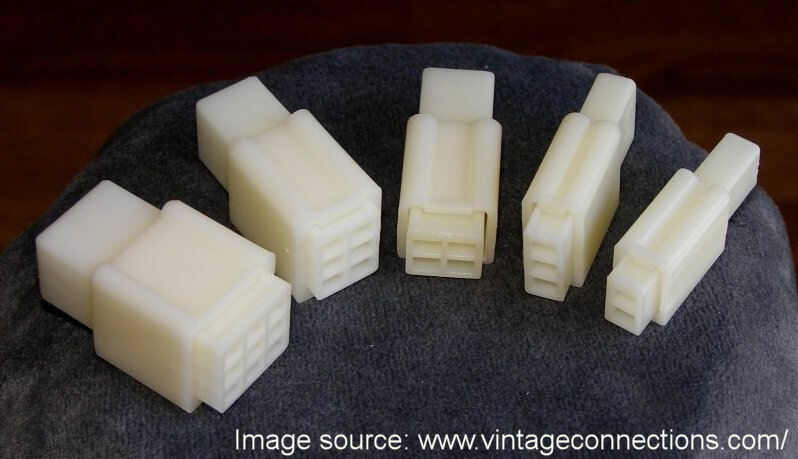 If you desire to keep the stock look, or you just want to replace a single connector, you can update and/or replace the connectors with pin-compatible, new, stock-looking connectors from Vintage Connections. They also have the bullet connections and clear plastic covers. Using their crimping tool gives the perfect, secure, OEM look finish to your connections (I still solder them too). Prices are reasonable and service is excellent. Below is an example of the 6-position connector for the 240z Windshield Wiper Motor (only 5 wires are used). Here is an excellent drawing of how wires should be crimped into a terminal. I know this is an excellent termination method, but I still choose to solder also.